Quarantine bins, Secure and lockable. Specifically designed to be hand loaded, lockable and weather proof. Used to contain and transport quarantine disposables and for application such as events, shopping centers and outback waste stations. 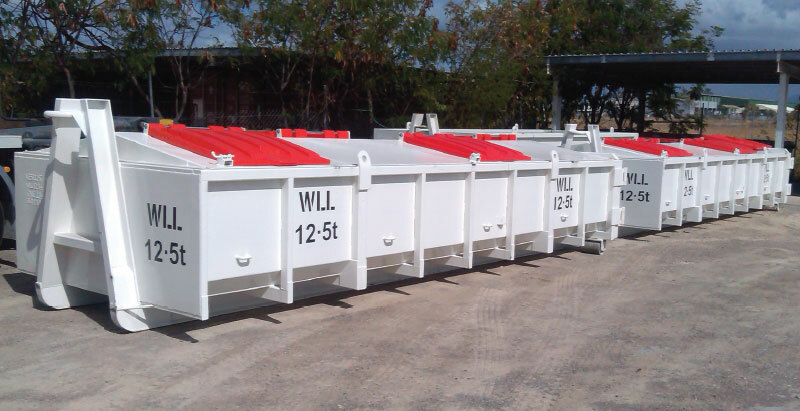 Bins are transported and emptied by vehicles fitted with hydraulic hooklift loader.